Looking to gain access to some of the best financial resources out there? Do you want to save for retirement, pay off debt, start investing, go on vacations, and more? 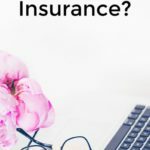 Being in control of my money and personal finance situation has cut my stress significantly, so I’m always looking for products to recommend that will help you do the same. And, it's super affordable! Some of the best financial experts out there have come together to sell all of their resources together in a nice package. You can receive 45 financial resources with a value of $1,206.41, for just $37! The Financial Renovation, eCourse by Lauren Greutman ($99.00 value). This course helps families create financial freedom by sharing simple, easy ways to take back control of their money, live within their means, and create the simpler, happier life they’ve always dreamed of. Debt Free in 18 Months, eCourse by Deacon Hayes ($67.00 value). DIY Financial Planning: Home Purchase, eCourse by Marriage Money Bootcamp ($80.00 value). This is a step-by-step video course for creating a financial plan for your first home purchase. How To Be Frugal, eCourse by Jennifer Roskamp ($99.00 value). This self paced course teaches you how to create a budget, how to feed a family frugally, how to shop smart both online and in the store, how to use coupons, how to save money around your home, and so much more. The 4% Rule: Safe Withdrawal Rates In Retirement, eBook by Todd Tresidder ($4.99 value). The knowledge contained in this book will help you remove the uncertainty around retirement savings and deepen your understanding of strategies other than the 4% rule so you can retire worry-free. Full-Time RV Finance: Learn How to Afford Your Full-Time RV Travel Dreams, eBook by Sean & Julie Chickery ($3.99 value). Helps you prepare financially for the full-time RV lifestyle. Financial Freedom Planner, Workbook by Jen Smith ($19.00 value). An all-in-one guide to help you make long-term financial goals and short-term action plans that will get you to financial freedom faster. How I Made Over $12,000 Investing When The Stock Market Was Falling, Video presentation by Teri Ijeoma ($19.00 value). Teaches you the top four secrets to make regular daily or weekly income using the stock market. Teaching Kids About Money: Practical Ways to Raise Financially Savvy Kids, Video presentation by Brendie Heter ($19.00 value). Shows parents how to take advantage of every day “teachable moments” and change the financial path of the next generation. Brendie, a trained financial coach, wants parents to feel confident regarding this sometimes overwhelming topic. Money Talks: The Ultimate Couple's Guide To Communicating About Money, eBook by Talaat & Tai McNeely ($9.99 value). Helps you open the lines of communication with your spouse, and reveals how you and your spouse can align yourselves together financially. How to Financially Prepare your Family for a New Baby, Video presentation by Lauren Daly ($19.00 value). Lauren shares how her family saved thousands for their new baby, and how they came up with just how much they need. And there are so many other great resources as well! Many of you have asked me questions about the bundle, and I completely understand. It's a lot of products for a very low price, and you may not have come across something like this before. Q1: Is this one big course? Or a bunch of different products? This bundle is a collection of 14 eBooks, 10 eCourses, 11 video presentations, and 10 workbooks and printables. 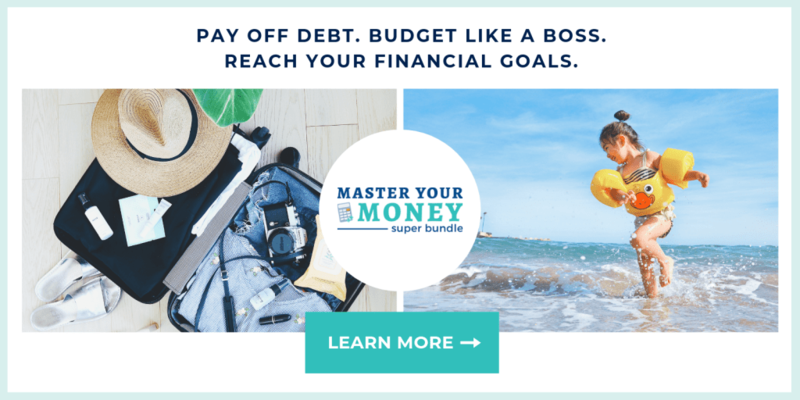 Inside this bundle, you will find tons of resources to help pay off debt, budget like a boss, and reach your financial goals, and so much more. It’s basically one big financial library – all for $37. Q2: What am I going to do with so many resources? There is no way on earth each of these eBooks / eCourses is relevant to where you are right now. Some of them will have a lot of appeal, and some won’t. 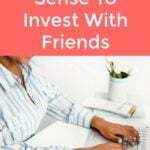 But in most cases, it only takes 3 or 4 eBooks or eCourses that you’re going to use for you to start saving money.Not to mention, there are 8 resources alone that are worth as much or more than the cost of the bundle itself. So, even though you won’t use every resource in the bundle, it would still be really hard to not save a ton of money anyway. Q3: How do I know I’m actually getting good quality products and not just a bunch of “throw-away” eBooks? The Ultimate Bundles team spends months reviewing potential contributors, approaches only the best for inclusion, and then only accepts the top products that they think will have the most appeal out of those. Many of these are even full-length eCourses with video tutorials! They are highly selective and it shows in the final curated collection. Q4: What's the refund policy? Although Ultimate Bundles has an extremely low return rate at less than 1/4 of the industry standard, there are some people who it doesn’t work for. That’s why they offer a 100% happiness guarantee refund policy for 30 days. If you don’t love it, just email customerservice@ultimatebundles.com to ask for a full refund. Q6: This sounds like a scam. Can you prove it’s not? I know it seems too good to be true. Pay $37 for $1,211.67 in resources? Doesn’t that mean someone’s losing big time? Or the prices are inflated? I totally get your concerns. I’ve been an affiliate for Ultimate Bundles for years and I can tell you that I offer these bundles to my readers because they’re a great value. Even though a blogger may be including their product in a bundle that costs less than their product, product creators get exposure to new potential readers, which can pay off in big ways later. Plus, the bundle is offered for such a short time that they can go back quickly to selling their product at full price. In short, it’s a great deal for everyone. Ultimate Bundles is a reputable company, so if you try the bundle and don’t like it within 30 days, just ask their friendly, helpful customer happiness team for a refund. Q7: How long do I have access to the material? You’ll have 6 months to download your eBooks and register for your eCourses. After that, you’ll have access to all the eBooks and many of the eCourses for life, so there’s really no rush. Q8: Can I buy the bundle later? I wish I could let you, but I can’t. 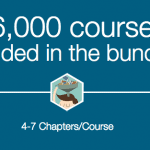 In order to convince the partners to offer such a huge discount on their trainings, they’ve agreed to sell the bundle for a 6 day period only. After that, there will be no late sales. In my opinion, you really don’t want to pass up a deal this good. But I’ll leave that up to you. Just don’t wait too long, because the sale ends soon! Check out the Master Your Money Super Bundle right here. 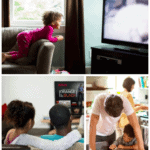 Should you pay for TV service?